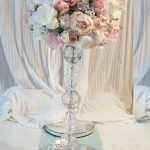 BOOK NOW Contact Us to secure your 2018 /19 Wedding date. 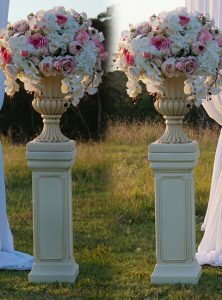 Our stunning Urn and Pedestal hire are hand designed with large silk flowers, they make for a perfect wedding ceremony or reception decoration. 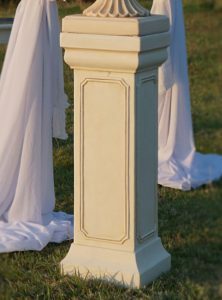 The Urn and Pedestal with silk flower decorations are 150cm in height, and feature silk real touch flowers, if you require just the Urn and Pedestal without our floral design please contact us for the hire price for just the Urn and pedestal. 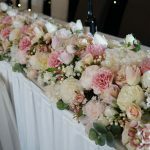 Please note we have a minimum hire spend of $550 per wedding. 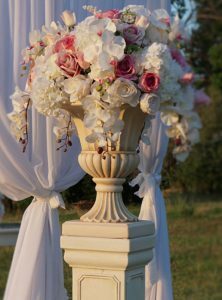 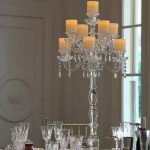 Hire price includes 2 ivory pedestals, 2 ivory urns, 2 large silk flower balls, delivery, setup and packup.